I had some leftover pieces of October Afternoon Cake Walk, after I finished my birthday wreath , and I though making some birthday cards to have on hand, might not be a bad idea. I sketched this set of cards out while I was at McDonald's, letting Zoe burn off some energy in the play place. It's funny where inspiration strikes. I used my Silhouette a lot on these cards. 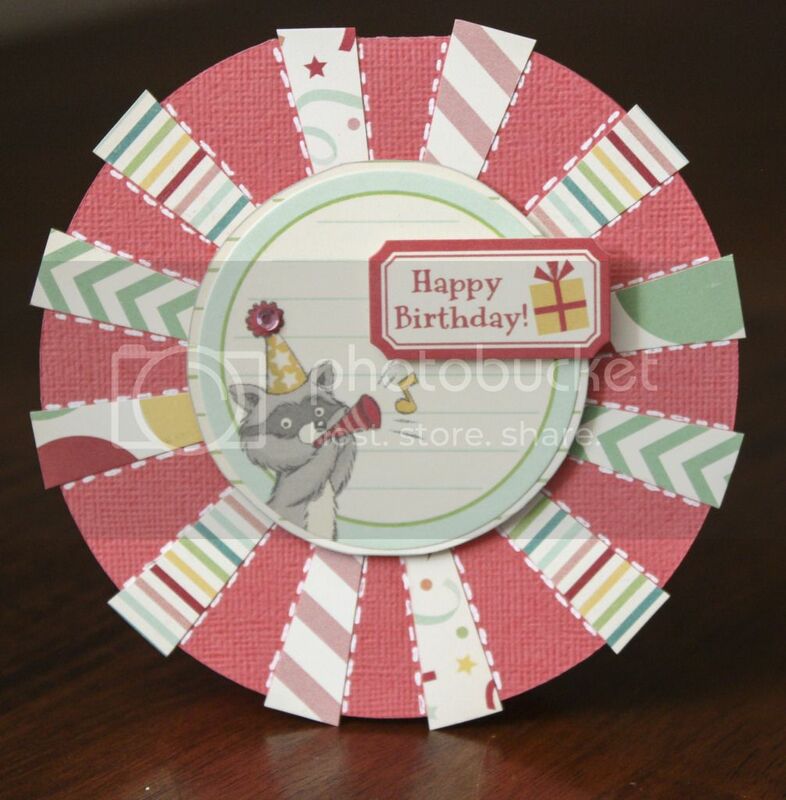 Such an easy way to make shaped cards. All the bases were made using cuts from the Silhouette store. I used THIS for the square and circle cards, and THIS for the ticket card. I cut the star out using my Silhouette. Then stitched an old page protector to the cardstock to make a pocket for the confetti. I used my swiss cheese punch on some scrap pieces of paper to make the confetti. 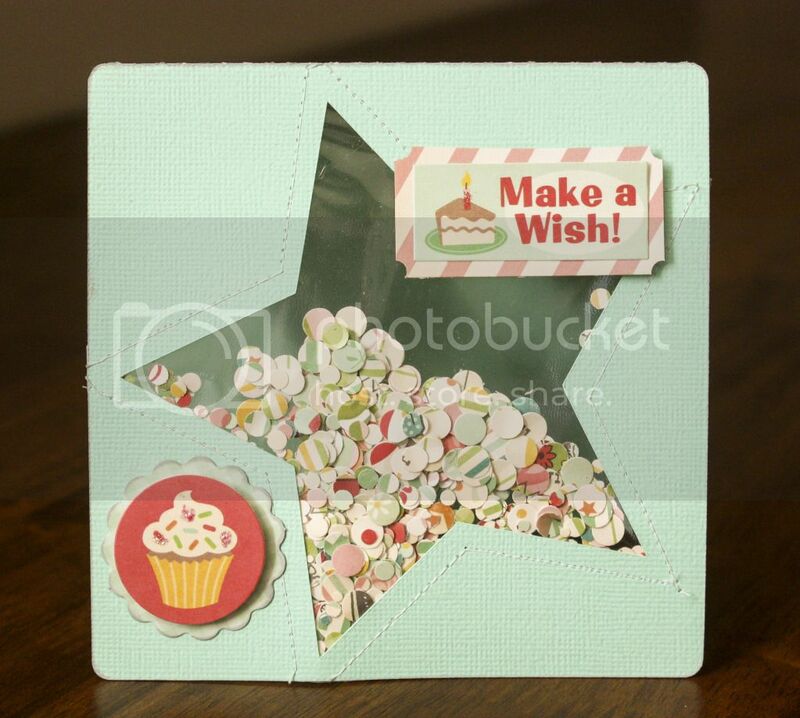 I added a few label stickers, touched with stickles to add a bit of sparkle. 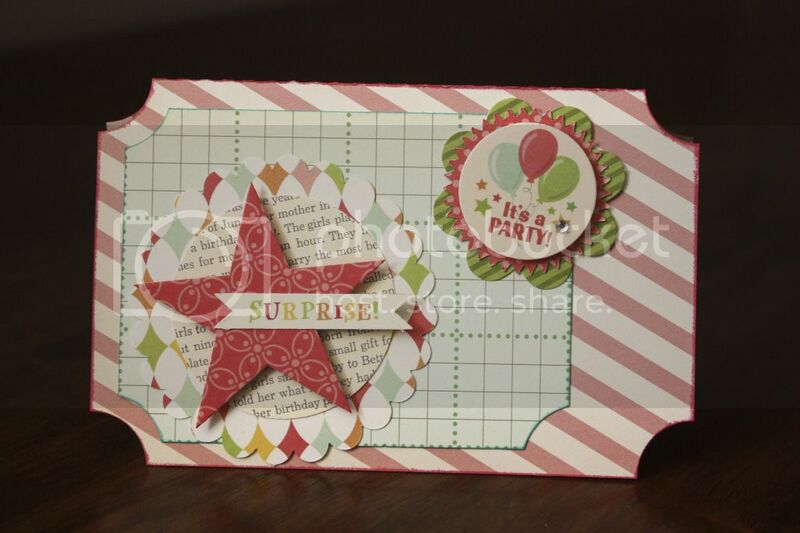 For this card, I cut small strips of paper to make a sunburst type effect. I added some labels stickers for the sentiment. For this last card, I used several tidbits from the Cakewalk flower sack. I also inked the edges of the cards using Prima chalk edgers. Do you make cards? I'm really not a huge card maker, and often forget to use my homemade cards, but I'm working on it.